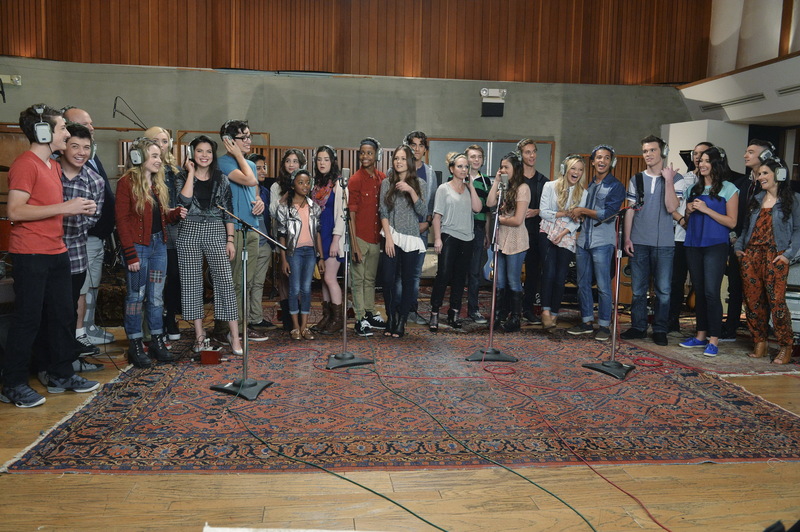 How bad is the new Disney Channel Stars’ “Frozen” Cover? The answer is super bad, but not for the reasons you think. The voices used aren’t bad whatsoever (the inclusion of the adults was fantastic, in my opinion). As I mentioned in my previous article on the topic, the older group covers they did in the early 2000’s featured not only a happier tone, but just an overall more enjoyable listening experience. First off, the song choice was pretty horrendous. Of all the songs to choose in Frozen, or any Disney film for that matter, you must choose one that doesn’t need backstory to work. “Circle of Life” and “A Dream is a Wish Your Heart Makes” both made sense in and out of the story. The only one that sort of, kind of works within the context of the film and as a stand alone song is “Let It Go,” though I realize they didn’t choose that one as it has become the definition of overplayed. Secondly, the previous incarnations had a playful atmosphere in the videos.”Circle of Life” featured the starship a karaoke bar, with various screens showing scenes from the film. “A Dream is a Wish Your Heart Makes” had them in a recording studio and ballroom setting, also featuring scenes from the film, but not in the “We Are the World” awkward format the new one had. It felt more like a music video and not like a group of people singing in honor of a fallen cast member. The worst part, however, was the way they doled out solos. They were haphazardly created, with some being given around 3 words, then everyone singing along at the end, including people who clearly don’t know what they are doing (cough cough cast of Lab Rats cough cough). Then one cast member, (unfortunately I don’t know his name, but I do know he has a LOT of hair) had one of those weird moments where he just repeated back what everyone else was singing, just louder and by adding some more emphasis. It was odd and rather uncalled for. His voice wasn’t bad, just what they made him sing was weird. You’ve just performed the hit song from Disney animation’s biggest ever hit film on stage at the Oscars, watching it win said Oscar minutes later, how are you going to top that? 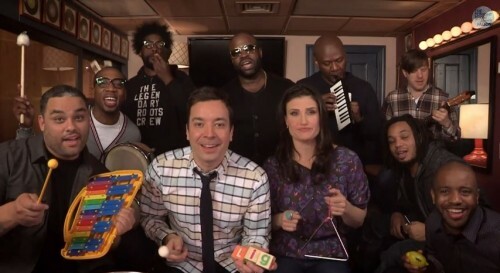 For Adele Dazeem Idina Menzel, it was a trip to the Tonight Show with new host Jimmy Fallon and the show’s band “The Roots” for a cover (can you cover your own song?) of “Let it Go” using only toys and classroom instruments.